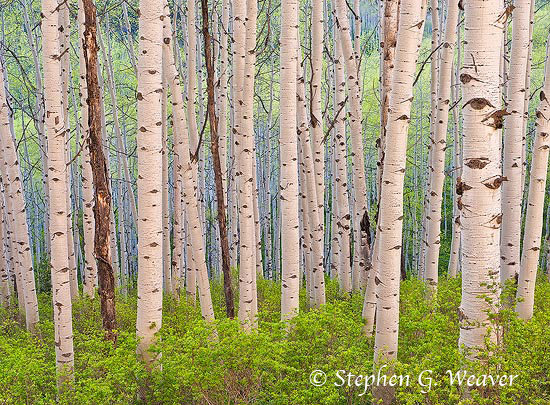 This past weekend I found myself photographing in the great aspen forest that covers the terrain west of Kebler Pass in the central Colorado Mountains. The fresh Spring foliage was a beautiful lime green and I started exploring looking for compositions before sunrise and as time passed I made a number of images with different compositions. What was particular striking was the change in the color of the light as time progressed. 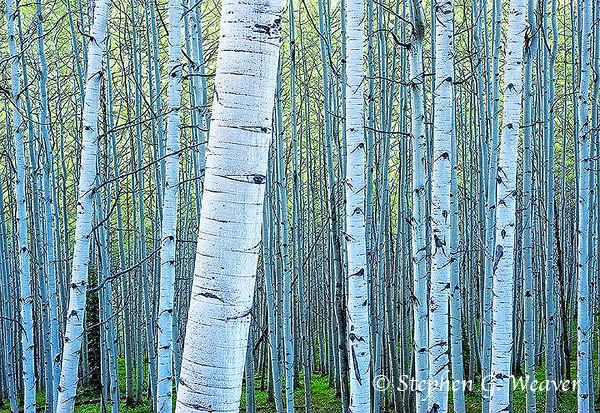 The early images made just before and after sunrise with the aspen still well covered by shade took on a distinctly cool tone with subtle shades of blue reflecting off of the white aspen trunks. Later images were distinctly warmer producing a very different look. The two images posted show how photographers can take advantage of the “color” of light to make images of similar subjects that have distinctly different character. This is the essence of good photography; using the character and “color” of light as an essential element of a striking visual image. 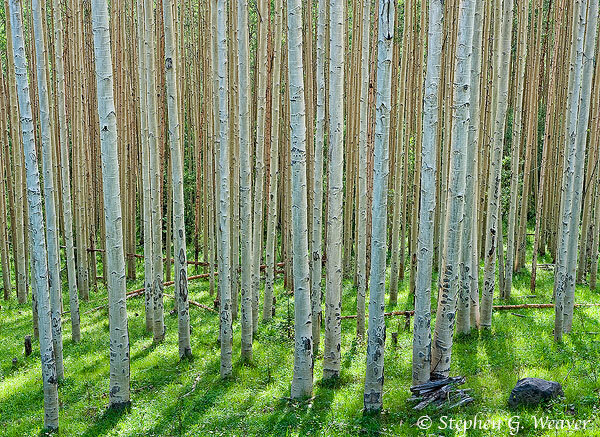 I have been trying out LR3 beta 2 and in a hard drive search for some images to try with the new LR3 RAW processing engine I discovered an image I made in a Colorado aspen grove last summer that had some nice angled back-light. The back-light and strong highlights were a challenge to deal with but after some work both in LR and CS4. Here is the result. I for one am ready for summer! Taking another look: finding new images among the old. I made this image in Teton National Park in the Fall of 2007. The soft cloudy afternoon light that made the Autumn colors pop, and the strong composition of layers of grass, willows and aspen make this image worthy of printing. Enjoy. It has been a busy September with lots going at CC, but I did manage to get out this weekend to do a little aspen photography around Crested Butte. The color in the aspens is progressing but needs at least another week to peak. Even without peak aspens I did find a number of fine images including this fabulous view with foreground grass looking down into the upper Slate River Valley with wonderful cloud laden morning light. 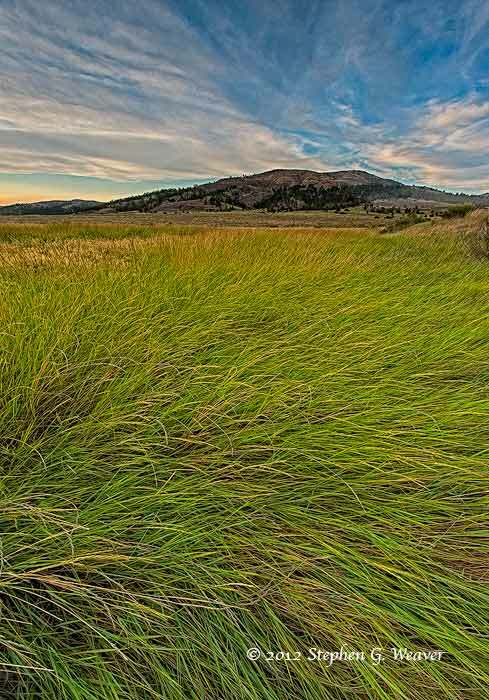 The compositional elements that attracted me to this image were the strong layers and diagonals anchored by the wonderful golden colored grass with the beautiful clouds lit up by the early morning light. 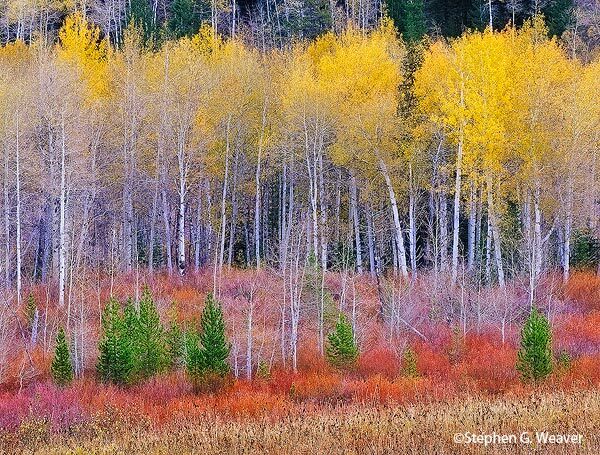 This image shows that not all that is gold in the Colorado high country are aspen! When you are out always keep your eyes open for the little gems like this scene. Enjoy!